LoL, which is short for League of Legends is by far the most popular Moba game (multiplayer online battle arena) today. It was released in 2009 by a company called Riot Games. The game is heavily inspired by Dota, which is another very popular game belonging to the Moba genre. Not only is LoL inspired by this game, but the creator of Dota Allstars, which is one of the earliest versions of Dota (back when it was just a mod to Warcraft 3), actually quit working on the mod and eventually joined Riot Games to create League of Legends. Even though there is often a lot of animosity between LoL and Dota players, one can’t deny the success that LoL has had. In 2014, LoL had more than 67 million people playing the game each month and 27 million people each day, making it the most played game in the world. Numbers released by Riot Games in 2016, showed that the monthly player base had increased to a stunning 100 million people. Some claim that LoL’s huge player base and popularity is a result of its relatively flat learning curve, but it’s important to know that the game was the first stand alone Moba and offered a free to play model which attracted a huge number of players. League of Legends is a highly strategic game that requires a lot of team work between players. The game is played in matches in teams of two, which in official ones consist of five players in each. There are however three different game modes that can be chosen in LoL and the number of players in each team depends on which mode is played. You can read more about these modes further down. Even though there are some differences between the game modes, the basics are more or less all the same. 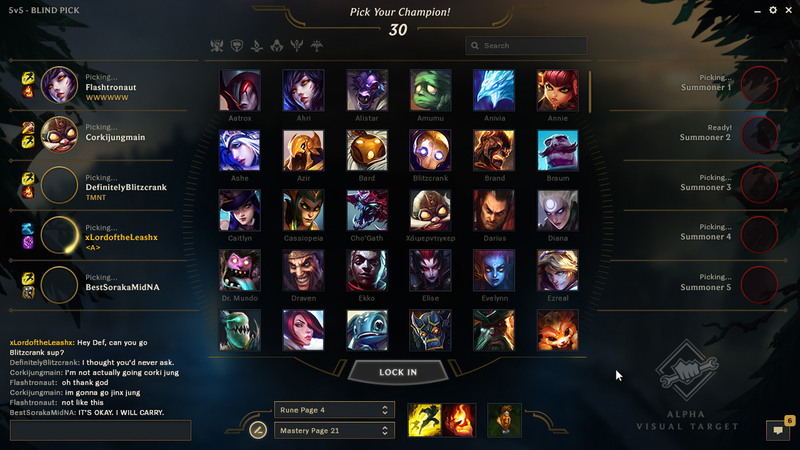 Before the beginning of each match, every player either picks or is assigned a unique champion that has several unique abilities to use. There are far over a hundred champions to choose from that all play a certain role in the game. You will find the champions categorized into Assassins, Fighters, Mages, Supports, Tanks and Marksmen. As the names might reveal, some of these champions are better at dealing high damage to the enemy, while some are better at taking damage from the enemy and some use healing and other abilities to support the team. To be successful in a match it’s important to have a well-composed team. Every team starts in a base on two opposite sides of the map, which looks different depending on the mode played. The objective of the game is to destroy a building called the nexus that is located in the enemy team’s base. To be able to do so turrets that are protecting the nexus must be destroyed, as well as at least one of three so called inhibitors that are also located in the base. These inhibitors are each protected by a turret that needs to be destroyed before the inhibitor can. Inhibitors are only down for a few minutes when destroyed and will then respawn again. This means that there’s only a certain amount of time that the nexus is vulnerable. From each team’s nexus, computer controlled minions regularly spawn and move towards the enemy’s base, killing everything in their way. By killing these minions, players will gain gold and experience that will level up their champion. Gaining levels allow the champions to grow stronger and unlock special abilities. Experience and gold is also earned by killing enemy players, structures and so called monsters. You could say that monsters are neutral minions as they don’t belong to any of the teams. These monsters are located in jungles outside of the bases. There are a couple of monsters in the jungle that are extra powerful and will grant different boosts to the team, such as increased attack damage. The gold collected can be used to purchase weapons and other items to make the champions stronger and help them in battle. A part from gaining gold from killing minions, monsters, enemy players and destroying structures, a small amount is given at the beginning of the game and it is also passively and slowly earned over time throughout the match. No items that are bought or levels gained to a champion in a match are carried over to another. Every match always starts from scratch and usually takes between 20 and 60 minutes to finish. Even though a champions level isn’t carried over to a new game, players do earn something called player experience by playing matches. Player accounts begin at level one and can be leveled up to a total of 30. By leveling up your player account, you can unlock different game modes, summoner spells, runes and masteries. Summoner spells provide two additional abilities that can be used in the matches, while runes and masteries provide small bonuses to the champion such as a HP increase. This means that a higher player level gives a small advantage in the matches. Currently there are three game modes that can be played in LoL; Summoner’s rift, Twisted Treeline and Howling Abyss. Summoner’s Rift is the original and standard map of LoL and the one played by the competitive teams with five players in each team. In other words, this is what you can expect to place your bets on when betting on League of Legends. The map in this game mode is shaped as a square where the two team’s bases are located in the top right and bottom left. There are three different main lanes that are connecting the two different bases together. A part from the turrets inside of each team’s base, all of the three lanes additionally has four turrets each located on them, two for each team. In the middle of the map there’s a river diving it into two sides, with each side having two big jungles. 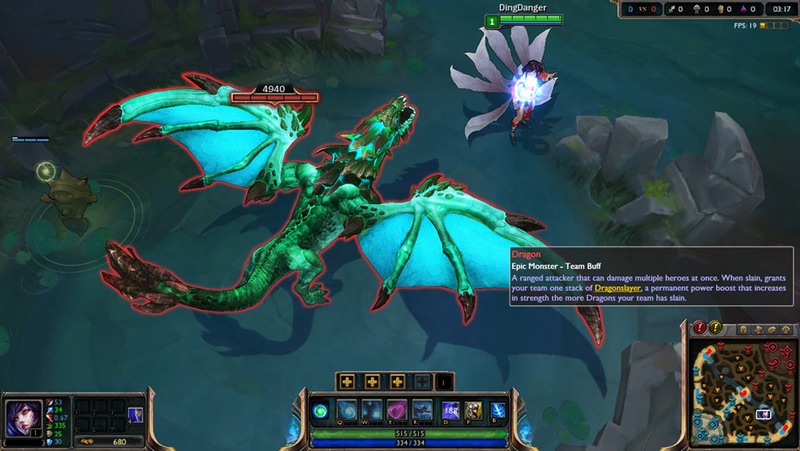 Twisted Treeline is a game mode that is played with three players in each team. The design of the map is different than Summoner’s rift as it’s a rectangular map where one of the teams start to the far left of it and the other to the far right. 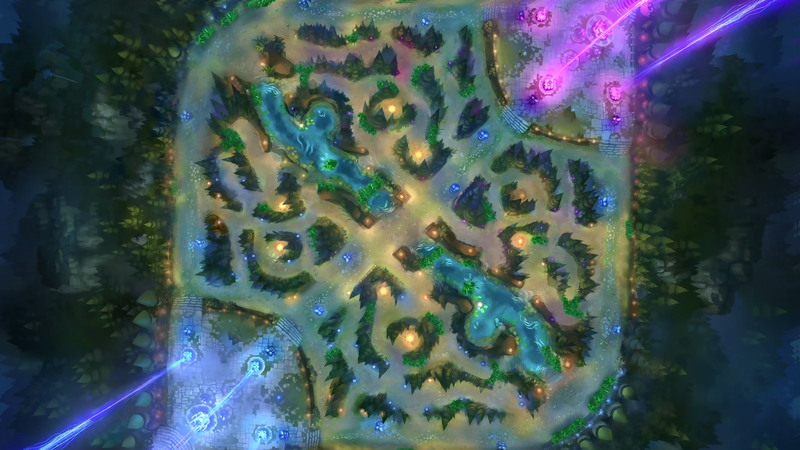 The map only has two main lanes that are connecting the bases with just one turret on each lane, whereas the jungle is way smaller and located in the middle of the lanes. The smaller size of the map leads to more action and usually a faster finish. As opposed to Summoner’s Rift, the jungle also has two altars which can be captured by standing on them for a short period of time. Doing so will provide the owning team additional stats to their champions. In the middle of the map there is also a speed shrine which temporarily buffs champions walking through it, increasing their movement speed. 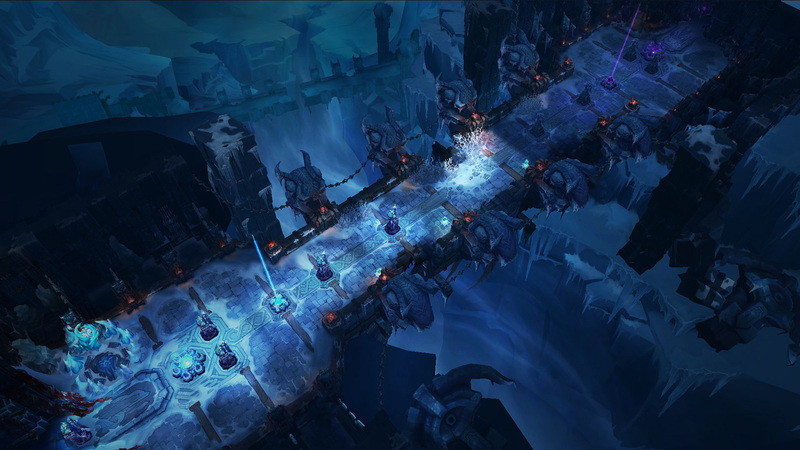 Howling Abyss is played with two teams of five players just like in Summoner’s Rift. The map in Howling Abyss is however very unique as it’s made up of only one straight lane and no jungle at all. Unlike the other two modes, there is also no possibility for players to return to their base unless they’re killed. This means that they can’t go back to replenish health and mana or buy items. There are however health shrines located throughout the lane that will spawn an item every now and then which will replenish a small amount of health and mana. Another difference is that every player’s champion will start the game at level three. Howling Abyss is the most action packed and bloody mode of them all!